I've gotten to see some incredible projects in the last six months. Readers need to understand that we are in a time-frame which has never occurred before in history. All hard commodities are in shortage due to increased demand from China and to a smaller extent, India. They have television and they can see the good life and they want it. 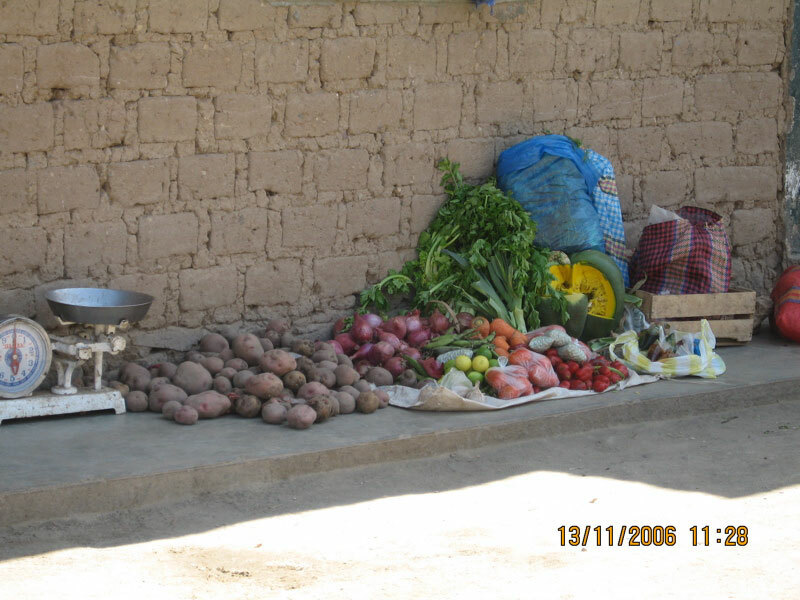 Every commodity is in shortage and any project with a real resource can be put into production. (If it isn't profitable at these prices, better plan on raising moose on it). So I get to see a lot of good projects but you should remember there are a lot of good projects you won't be reading about, there are a limited number of voices. Do your own due diligence but with 1000 or more juniors out there, there are a lot of good stories. I saw two recently in Peru. Andean American Mining owns a small (20,000 ounce per year gold producer) mine at Santa Rosa which I didn't get a chance to visit and an advanced exploration, ready to produce, gold, silver, copper, lead and zinc mine called the Invicta project. Santa Rosa is an open pit mine currently in production. 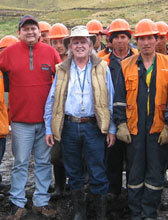 Andean is using a heap leach and their goal for 2007 is production of 20,000 ounces of gold. Exploration is continuing on the property. 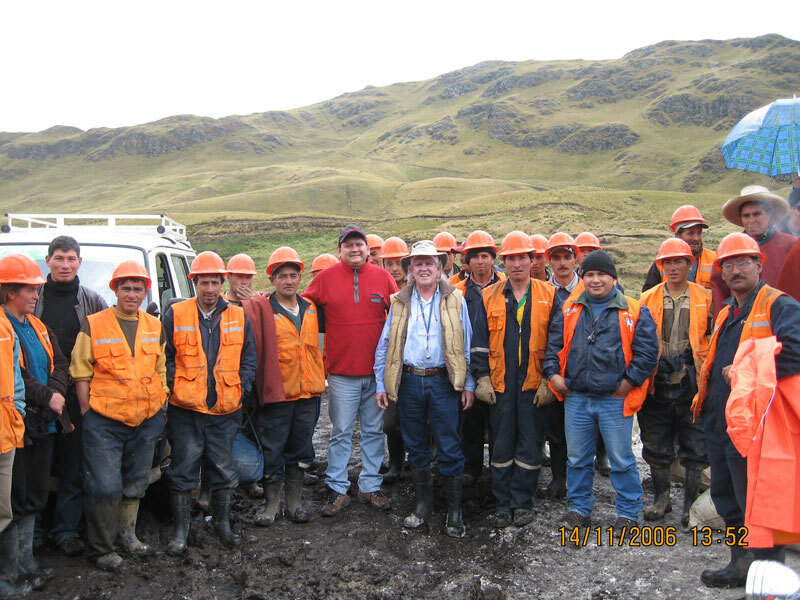 Andean American began production at the Santa Rosa mine in 2003. There have been some issues with metallurgy and Andean American feels they have it sorted out now. The star property for the company is the Invicta project. This is a 16,900 hectare project located four hours from Lima by road to the Northeast. The area has been mined since the early days of the Spanish conquest on a small scale basis. A local miner opened two adits on the property in 1968 and worked for a short period of time but basically the area sat idle until the early 1990's. In 1994, Pangea Goldfields staked claims around the primary Atenea vein. By 1996, Pangea commenced surface mapping, geophysical magnetics and Induced Polarity. (IP) Between 1997 and 1998, Pangea conducted a 12,500 meter diamond drilling program consisting of 83 surface holes and 29 underground holes. In 1999, Barrick bought Pangea and all their worldwide properties. In 2005, Andean American did a deal with Barrick and took out an option on Invicta. 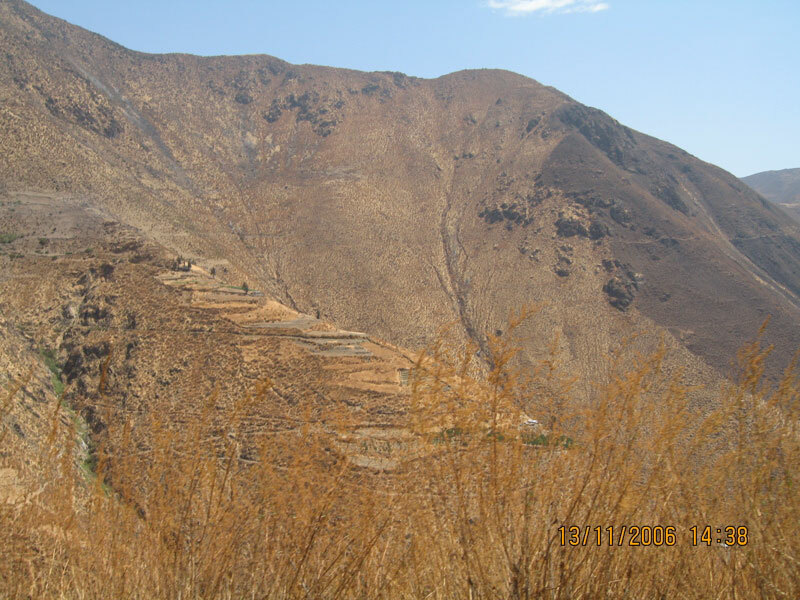 The resources developed by Pangea did not meet 43-101 requirements so Andean American conducted a parallel 5,200 meter drill program to verify the results published by Pangea. By doing so, Andean American fulfilled the terms of the option with Barrick and came up with valid 43-101 results. 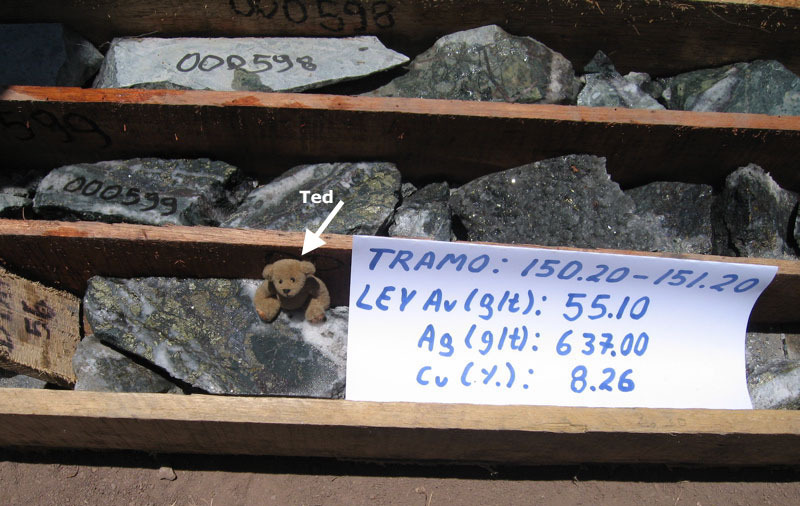 The ore at Invicta is polymetallic and has gold values of about 2.73 gpt, 18 gpt silver, .45% copper and minor lead and zinc credits so it's hard to say exactly what the total resource is in ounces but Andean has 4.7 million tons in the M&I category and an additional 8.3 million tons in Inferred category. Andean figures they can be in production in 2008 for a $32 million dollar capital cost. 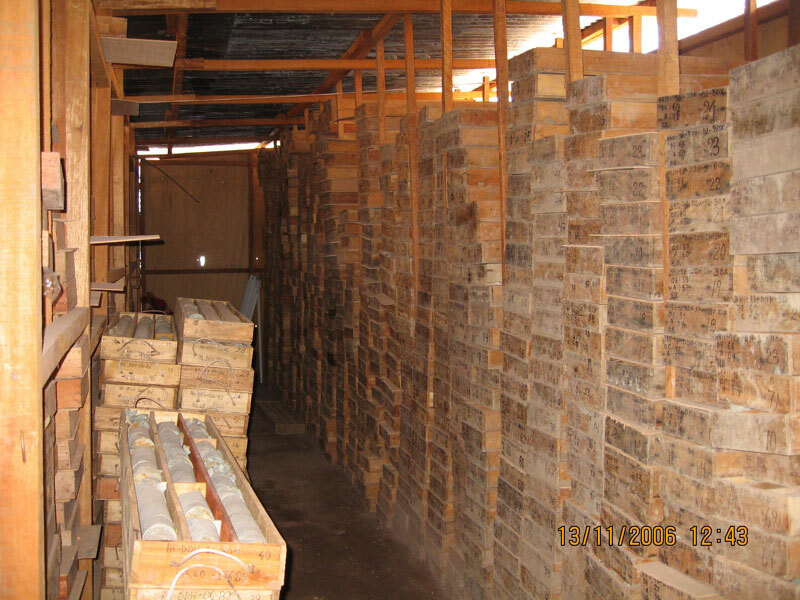 The highest grade gold is conveniently near surface so they expect initial production of 76,000 gold equivalent ounces in the first year with 800 TPD mined at a grade of about 12 grams per ton. Production will ramp up to 190,000 ounce gold equivalent ounces in the second year with production of 2,000 TPD at 10 grams gold equivalent, before dropping to the 125,000 ounce gold equivalent in the forth and following years. The cash flow at $600 is nothing short of incredible. Andean has produced what they call a conceptual cash flow showing production of 80,612 ounces of gold equivalent the first year with profit of $25.54 million after taxes at $600 gold. That would be an IRR of about 80%. 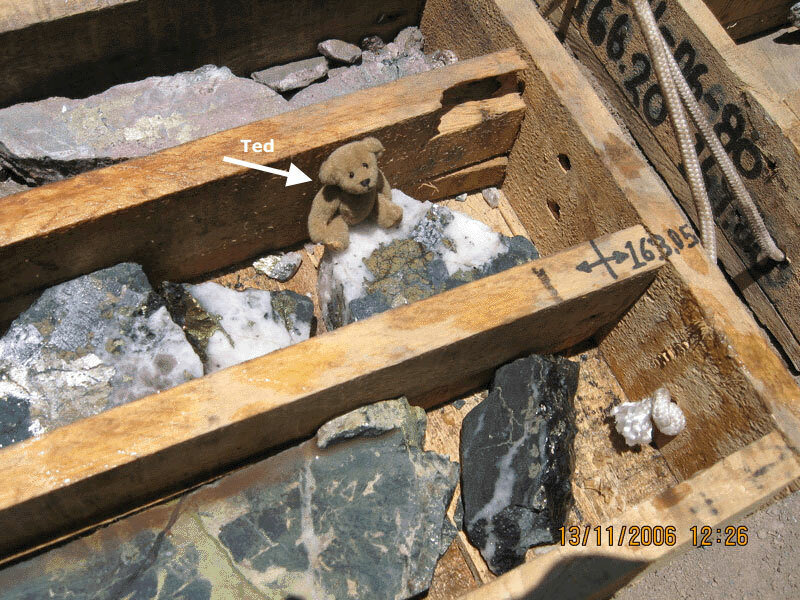 If you like gold sprinkled with a variety of other base metals, AAG may be the way to go. Their figures show a NPV (Net Present Value) of $276 million at a discount rate of 5% over an eight year period. If you lump the 43-101 resource together on the different metals, it works out to just over 2 million ounces of gold equivalent which makes the Invicta property alone worth about $30 per ounce of gold. That's pretty cheap. There are some issues with this project and I was pleased to see that Andean American had identified them and had solutions in mind. Invicta is high in the Andes and has little water nearby. Andean has identified several alternative sources of water up to 12.5 kilometers away. Likewise, power is an issue and Andean has filed permits to bring a power line an additional 47 Km to the project. With any of the Latin countries, community relations is ultra-important. Support of the locals doesn't guarantee success, but the inability to garner their cooperation will guarantee failure. Andean American seems to have done an excellent job of working hard to make sure the local communities understood the benefits of a new project to them. 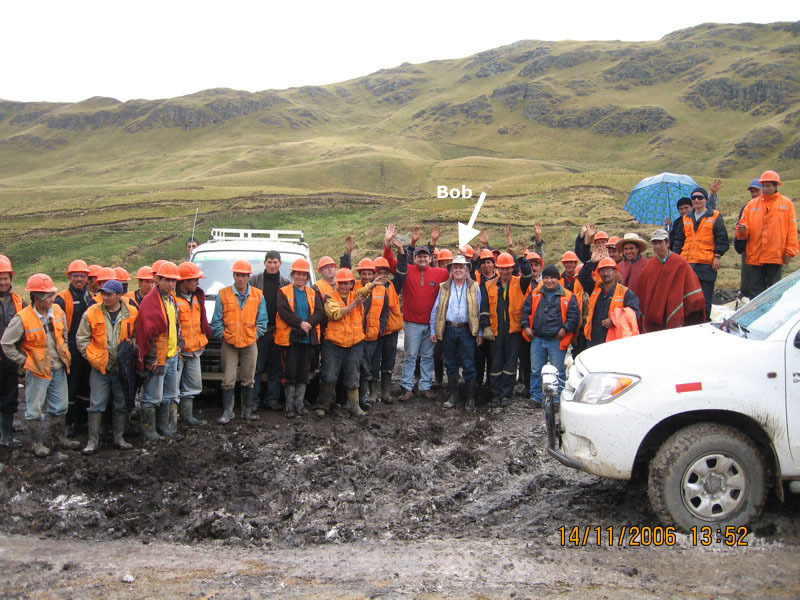 Likewise, the entire crew of geologists were Peruvian, this isn't a project with all pale white faces from Vancouver. I like the company and the project, There is a lot of upside and I happen to agree with all those who are planning on going into production. I think you would see something like a investment of about $6.4 million in equity and debt of $25.6 million. Once the market gets to grips with the numbers and the project, I think there will be a much higher valuation put on the company. But Andean isn't betting the company on one good company-making project. They have spent several years putting together a land position of 1,300 hectares some 35 kilometers from the Newmont-owned giant Yanacocha gold mine. Earlier this year, AAG did a deal and rolled the Sinchao property into newly-created Sinchao Metals Corporation for 36 million shares and warrants on another 3 million shares. Their ownership of the new company will be about 78% fully diluted. Shareholders approved the merger/takeover on December 15th and the new company begins trading on December 21 under the symbol SMZ. The old shell traded under the symbol DIP.P and closed at $.19 before a 6-1 rollback so Andean management believes the new company will begin to trade at about $1.14 on December 21. The Sinchao project is a giant scale polymetallic deposit with geological potential in the range of 500 million to a billion tons. Andean felt that their time and money would be better spent on getting the Invicta property into production so they retain a large percentage of ownership in the project but Sinchao will have it's own team of management. 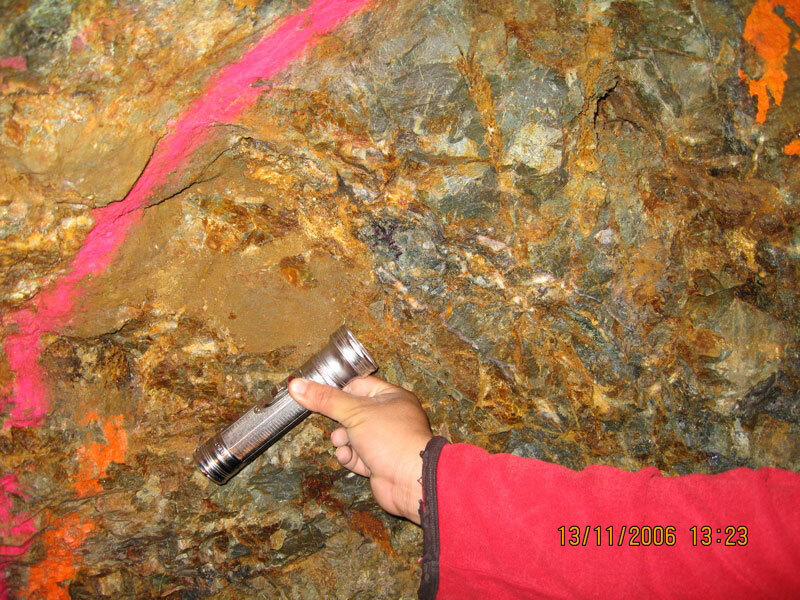 The Sinchao copper-gold-lead-zinc porphyry system is located literally right next door to Goldfields' new Cerro Corona, about 3.5 km south. 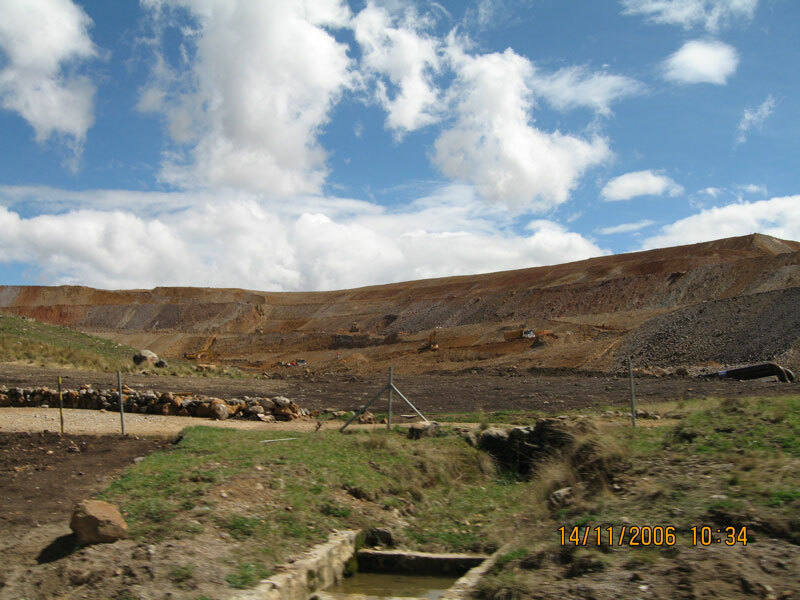 There has been small scale gold and copper mining on the property in the past and Andean employs locals in a remediation project cleaning up some of the environmental mess left by previous mining. It's a massive but low grade system previously uneconomic but the project has enormous potential at current prices for gold and base metals. Andean was conducting regional mapping earlier this year and discovered a massive skarn zone right at the surface with zinc values of up to 18%. Since 1% zinc now is worth $40 a ton, the new skarn zone might make a perfect starter pit for a large open pit operation. A tiny part of the Sinchao property is subject to a 3% NSR payable to Barrick, overall less than .3%. I liken today's environment for junior mining companies to that of a thousand people crowded in a single room, all screaming at the top of their voices. We have the largest mineral boom in recorded history with all minerals in shortage at the same time due to the incredible demand from China and India. It's very hard for a junior to be noticed or to stand above the crowd. After all, there are 999 other juniors, with project perhaps as worthy of notice, all trying to be heard by investors at the same time. I think AAG has done an incredible job of increasing shareholder value. They have spent the last two years building shareholder value by picking up appropriate projects. By focusing their primary effort on getting financing for the Invicta project, they have bitten off a piece of the pie easy to digest and easy for investors to understand. If you value gold in the ground at $30, the stock is worth about $1 a share. If you use the more reasonable $100 an ounce, that makes a $3.33 stock. But you still have almost 20,000 ounces a year being produced at Santa Rosa and if they can get recoveries up and costs down, that's worth at least $1 a share. When you consider the real prize, the massive Sinchao porphyry copper-gold project, you have the fixings for a nice meal. You don't have to determine what it is worth, the market will determine it for you. At the estimated market opening price on December 21 of $1.14, Sinchao Metals Corp SMZ should be worth about $.66 per share of Andean American. All of this makes Andean American a very undervalued stock. I am biased, I participated in a recent private placement at $1 a share so we have a vested interest. And Andean American Mining is an advertiser even if Sinchao Metals is not. I like the projects I saw, I like the management team. President and CEO John Huguet has done an incredible job of making the market understand the value of the company. I would not be in the slightest bit surprised if Goldfields figures out that they would be better off inside the tent than outside with a major project just 3.5 Km from their new processing facility at Cerro Corona needing a steady supply of new ore. Alternatively, they can watch some other major leap into their neighborhood. John has done an excellent job of adding value and making it possible for investors to see that value reflected in the price of the stock.